The Carolina Lakes Golf Club, a well-known course, has been sold to a private group of investors. 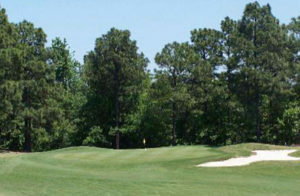 Green Tee Associates purchased the course in March. 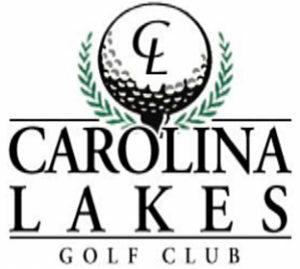 The Carolina Lakes Golf Club, a 128 acre semi-private 18-hole course in western Harnett County, has been owned and operated by the Hall family since 1993. During this time, Ron Hall Sr. has served as the General Manager, and his son, Ron Hall Jr. has served as the head USGA Professional on staff. Having owned and operated the course for over 25 years, the Halls found themselves ready to retire and sell the course. 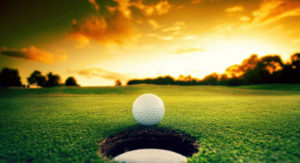 Upon hearing of the impending sale, a group of residents of Carolina Lakes, a private gated community surrounding the golf course, came together to purchase the course. Led by Ms. Jean Hubbard, the community members sought to purchase the course to ensure the course remained as a central amenity to the community, contributing to the quality of life in Carolina Lakes. Hubbard formed a group of like-minded investors who set to the task of researching the golf industry and the North Carolina golf market, real estate values, and all the other tasks necessary to make a sound and informed investment in the future of the course. Eventually, Hubbard formed a company, Green Tee Associates Incorporated, to enlist local residents to join the cause and raise the necessary funds to purchase the course. Over an eight-month period, Green Tee Associates worked with the Hall family to come to an agreement on the purchase and future operation of the course, completing the purchase of the course on March 15th. As a part of the process, the Hall family agreed to assist the new buyers with the transition of the course and aid them in learning many of the processes that have made the course so successful, and an integral part of the golf community for almost three decades. In addition to the Hall’s providing consultation and advice, Green Tee reached an agreement with Ron Hall Jr. to remain on as the head USGA Professional at the course. In the future, Green Tee expects to continue to provide a course that offers a golf experience of exceptional quality for an unparalleled value, just as the Hall family has during their tenure, while placing their own fingerprints on the course. The investment group has several improvements and upgrades on the horizon, however they will be careful not to move too quickly and risk disrupting the formula that has worked so well for so long. Opened in 1982, Carolina Lakes is carved from the pine forests of the Carolina Sandhills and follows the gently rolling topography of the region. Designed by Roger Rulewich while he was the senior designer for Robert Trent Jones Sr., the course length is 6,400 yards and par is 70. With Bermuda 419 fairways and USGA regulation, undulating bent grass greens, the course is consistently maintained in excellent playing conditions.